We have a lot of query for VMware vSphere: Troubleshoot course for vSphere 5.1, now this is there before on vSphere 4.x only. So finally now official training is available for vSphere 5.x also. This is really great Hands on course (25% Theory and 75 % Labs). There are about 50 Labs in the course. So you can now attend this program and explore your skills with vSphere Troubleshoot methodology. This course have no credit direct towards any certification so far, but really helpful for your VCAP-DCA exam preparation and gathering knowledge for troubleshooting VMware vSphere environment. Your storage type does not support RDMs. 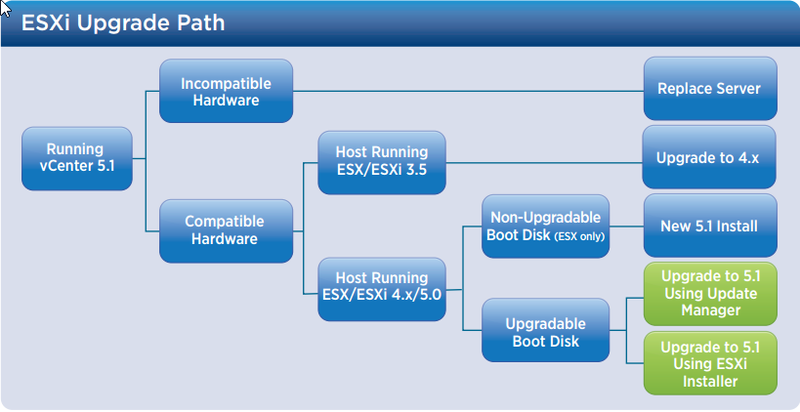 For more information, see Comparing Types of Storage in the Configuration Guide for your version of VMware ESX. There are no available LUNs to be presented to an ESX/ESXi host. They may have already been committed to storing VMFS, or have already been mapped to other virtual machines as RDMs. vCenter Server has an older cache of known devices which can be used for RDMs, not including the intended LUN. Rescan your storage to pick up the changes. For more information, see Performing a rescan of the storage (1003988). You are using a SAS Direct Attached Storage (DAS) array that is being detected as Local Storage. For more information, see Creating Raw Device Mapping (RDM) is not supported for local storage (1017530). The option RdmFilter.HbaShared is selected in ESX/ESXi 4.1 or 5.x. To deselect this option, clickConfiguration > Software > Advanced Settings > RDM Filter, deselect the option, then click OK. For more information, see Configuring advanced options for ESX/ESXi (1038578). You are using an external shared SAS storage array like the Dell MD32xx. This requires that the checkboxRdmFilter.HbaShared is deselected in order to use a LUN as RDM. This is expected behavior because the RDM filter only applies to Fiber Channel, FCoE and iSCSI. Rights for creating, reverting, and removing snapshots: Rights for creating, reverting, and removing snapshots have been added, allowing system administrators to configure these rights for all roles. Allocation pool organization virtual datacenters can be elastic or non-elastic: Starting with vCloud Director 5.1.2, system administrators can configure Allocation Pool organization virtual datacenters with Single Cluster Allocation Pool (SCAP), making them non-elastic. This is a global setting that affects all Allocation Pool organization virtual datacenters. By default, Allocation Pool organization virtual datacenters have Single Cluster Allocation Pool enabled. Systems upgraded from vCloud Director 5.1 that have Allocation Pool organization virtual dataceters with virtual machines spanning multiple resource pools have Single Cluster Allocation Pool disabled by default. To change the Single Cluster Allocation Pool setting go to System > Administration > General > Miscellaneous. Before enabling Single Cluster Allocation Pool, migrate any virtual machines on secondary resource pools to the organization virtual datacenter's primary resource pool. Support for Microsoft SQL Server 2012: vCloud Director now supports Microsoft SQL Server 2012 databases. vSphere 5.1 and later allow you to export, import, or restore Distributed Switch configurations from the vSphere Web Client. You can export vSphere distributed switch and distributed port group configurations to a file. The file preserves valid network configurations, enabling distribution of these configurations to other deployments. 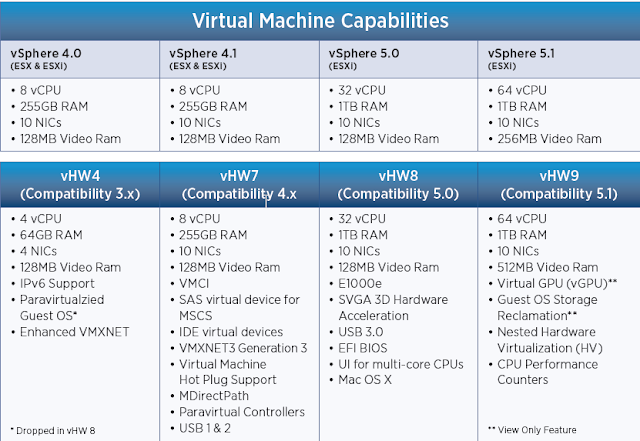 This functionality is available only with the vSphere Web Client 5.1 or later. However, you can export settings from any version of a distributed switch if you use the vSphere Web Client or later. Browse to a distributed switch in the vSphere Web Client navigator. Right-click the distributed switch and click All vCenter Actions > Export Configuration. Select the Export the distributed switch configuration or Export the distributed switch configuration and all port groups option. (Optional) Enter notes about this configuration in the Description field. Click Yes to save the configuration file to your local system. You now have a configuration file that contains all settings for the selected distributed switch and distributed port group. You can use this file to create multiple copies of this configuration on an existing deployment or overwrite the settings of existing distributed switches and port groups to conform to the selected settings. Exported configuration file can be used to create a copy of the exported distributed switch or to overwrite settings on an existing distributed switch. To create a copy of exported distributed switch, use the import option to create a distributed switch from an exported configuration file. The configuration file contains valid network configurations, enabling distribution of these configurations to other deployments. This functionality is available only with the vSphere Web Client 5.1 or later. However, you can import settings from any version of distributed switch if you use the vSphere Web Client 5.1 or later. Browse to a datacenter in the vSphere Web Client navigator. Right-click the datacenter in the navigator and click All vCenter Actions > Import Distributed Switch. Browse to the location of your saved configuration file. Select the Preserve original distributed switch and port group identifiers option. Click Next. If you entered notes about the saved configuration file, they appear in the Notes section. Review the import settings before completing the import. A new distributed switch is created with configuration settings from the configuration file. If you included distributed port group information in your configuration file, the distribute port groups are also created. You can use the restore option to reset the configuration of an existing distributed switch to the settings in the configuration file. Restoring a distributed switch changes the settings on the selected switch back to the settings saved in the configuration file. This functionality is available only in the vSphere Web Client 5.1 or later. However, you can restore settings from any distributed switch version if you use the vSphere Web Client 5.1 or later. Right-click the distributed switch and click All vCenter Actions > Restore Configuration. Browse for the configuration backup file to use. Select the Restore distributed switch and all port groups or Restore distributed switch only option and click Next. Review the summary information for the restore. Note: Restoring a distributed switch overwrites the current settings of the distributed switch and its port groups. It does not delete existing port groups that are not part of the configuration file. Wait for 15 minutes. By default, the account lockout policy is set to unlock after 15 minutes. For more information on account lockout policies for vCenter SSO, see Configuring and troubleshooting vCenter Single Sign On password and lockout policies for accounts (2033823). Unlock the account using another session that is still logged into the SSO server or using another user account with administrator privileges. Click SSO Users and Groups. Right-click the affected user account, such as admin, and click Unlock. In emergency situations or if the default policies have been changed, you can also reset the password to unlock the account. Note: Resetting the password will also unlock the administrator account. Login as an administrator to the vCenter SSO server. Click Start > Run, type cmd, and click OK. The Command Prompt window opens. Navigate to the directory SSOInstallDirectory\utils. By default, the installation directory is C:\Program Files\VMware\Infrastructure\SSOServer\utils. Enter the master password when prompted. Note: This is the password selected for the SSO administrator during the SSO installation. If you have changed your SSO administrator password later, the master password is still the original one chosen. Enter the SSO administrator name for which you want to reset the password. For example, admin. Enter the new password for the user and then confirm it a second time. You should see the message Password reset successfully. Log in as root to the vCenter server Appliance. From the command line, navigate to /usr/lib/vmware-sso/utils directory. Note: By default, this is the root password.